Facebook has stopped using Microsoft Bing to power searches via its social network, ending a partnership that spanned almost two years. What isn’t clear, however, is who broke up with whom. In January 2013, Facebook launched Graph Search, a search bar at the top of each Facebook page. Type in “friends who live in San Francisco,” and you’ll receive a list of friends (and potential friends) who live in the city. Before now, however, if you typed in a mundane term like “baseball,” Facebook would suggest a list of related terms, but redirect the search to Bing if you insisted on “baseball” itself. No longer. 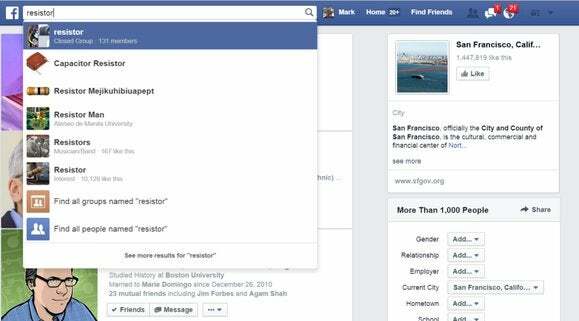 Now, Facebook insists on using its suggested terms. And trying to come up with a term that it doesn’t index in some form or another (“solenoid,” for example) is pretty difficult. In the meantime, Microsoft was busy building out search partnerships with Facebook and other social networking companies to improve its insight into what people were sharing online. Facebook certainly never showed Bing ads on Facebook’s pages, and it’s unclear how much traffic Microsoft received as a result. Microsoft places search within its “Devices and Consumer Other” business, where its surging Office 365 business can hide any problems with search. Bing’s search share is just under 20 percent—although Bing isn’t profitable, yet. If Microsoft had to pay Facebook for its search deal, cutting ties might be an easy way to save money. Why this matters: Reuters seems to think that Facebook chief executive Mark Zuckerberg is heading down the road to developing its own search engine, amassing the shared knowledge/opinions of Facebook friends in place of some objective, search-based truth. If that’s the case, Facebook may have dumped Bing, instead. And then you can argue that Bing simply fell by the wayside. But Yahoo has also been upset at the way Bing has delivered (or not delivered) search results, and it could be true that Bing isn’t delivering. Until Facebook reports its quarterly results next year (and analysts have a chance to grill management) we might not know for sure.